New Exploro aims for greater versatility. Enve's alloy hubs help its wheels hit lower price point. CeramicSpeed has pulleys for gravel, and more. Here’s your Week in Tech — all the gear news you need, none of the marketing gibberish you don’t want. The Exploro has already made a name for itself in the gravel world thanks to its versatility and aero design. Now, 3T offers the Exploro Speed, which has the same aero frame with additional aerodynamic features that make it better for on-road use too. 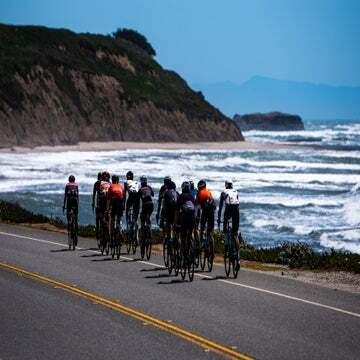 That essentially means you get two bikes in one: A performance gravel bike designed to face the wind and speed of gravel racing, and a performance road bike that accomplishes similar goals on the tarmac once you swap out the wheels or tires. This 3T is built with Discus C35 Team wheels, a SRAM Force 1 drivetrain, and the Torno aero crank. 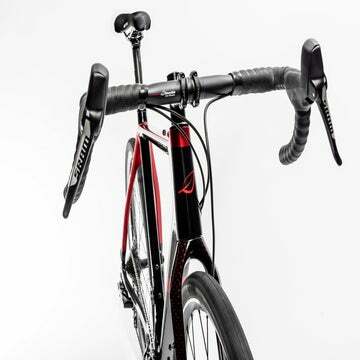 It’s only available in limited quantities, $5,200-$7,200, depending on frame and build. If you’ve ever visited the Enve website, you know you can often customize your wheels with the hub of your choice. Now Enve offers its own aluminum hubs which will stock on certain wheelsets. This allows Enve to drop the entry price to $2,550 for a set on SES and G-series wheels. Enve opts for stainless steel bearings over ceramic to keep costs lower and increase reliability. The bearings feature Perfect Preload, which is a system that includes a wavy washer and a snap ring to maintain ideal pressure on the bearings. There’s no need to adjust preload. The rear hub’s Instant Drive 360 ratchet mechanism comes from sister company Mavic, and we have found it to be reliable over miles and miles of riding. Are you wondering about that “Star Wars” Imperial insignia-style flange shape? Enve says that helps trim weight. Plus, the alignment of the spokes, in relation to the flange, afford the stiffness of a three-cross pattern while being laced as just a two-cross wheel. Our own Spencer Powlison got a chance to ride these new hubs last week in California, where the weather was unexpectedly wet and muddy. He can vouch for the fact that they were trouble-free despite the severe conditions. Laced up to Enve’s G25 carbon rims, they made for an ideal gravel wheelset. The hubs are available on certain wheelsets, or on their own if you prefer to build up your hoops. Keen eyes may have spotted a new lid on EF Education First riders at the Santos Tour Down Under. Now the new Ventral Air is available to the public … almost. You’ll be able to get your hands on it April 1. It’s an updated version of the Ventral, but with more strategically placed vents to keep you cool on long, hot days. Climbers will dig this one. It also features Poc’s SPIN system, a layer that helps dissipate rotational forces in a crash. Poc says the new lid weighs an airy 230 grams, though it did not specify helmet size associated with this weight. It seems all corners of the bike industry are banking on gravel racing. So it stands to reason that gravel racers want to make their bikes as fast as possible. CeramicSpeed is happy to oblige with its new OSPW oversize pulley wheel system, designed specifically for gravel bikes. It’s called OSPW-X, because X is scientifically known as a fast letter. CeramicSpeed says the OSPW-X pulley system can make your drivetrain 30-40 percent faster over stock equipment. It’s designed to work with SRAM’s 1X derailleurs, which have become go-to equipment on gravel bikes. It’s the first OSPW system to be compatible with clutch derailleurs, which CeramicSpeed says can cause a friction problem due to the added tension on the chain. When you install the OSPW, you have the option to reduce the cage tension, thereby eliminating the concern. Remember coil shocks? Marzocchi remembers! Mountain bikers have seen a lot of technology come and go, and coil shocks are rebounding as riders seek out a simple, plush feel in the rear of the bike. Enter Marzocchi’s Bomber CR. It is $300 and works well with bikes in the 130-200mm travel range. The Bomber CR is simple to set up and forget about, no fussing with air pressure or fancy dials necessary. You can refresh your old ride, or upgrade your new one to get a more plush feel in the rear end. Just set sag and rebound, and pedal away. 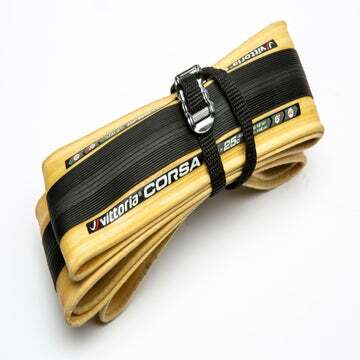 It comes in a variety of sizes to fit most bikes, though you’ll need to measure your bike specifically to ensure compatibility.